The latest in hydration. 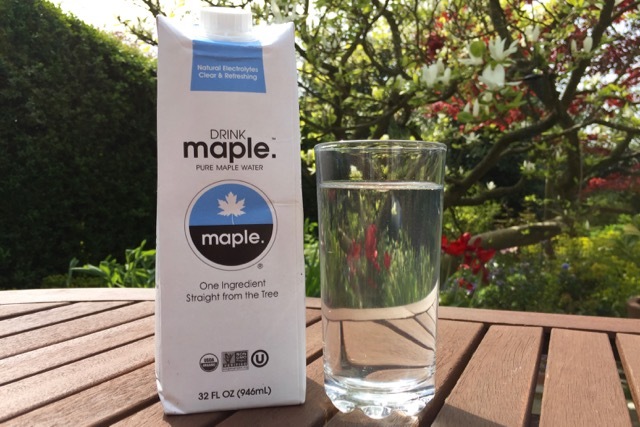 You've tried coconut water and you've probably tried maple syrup, but have you tried maple water? 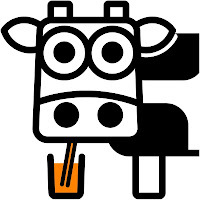 It's simply the sap from the maple tree and contains 46 nutrients and is lower in sugar than coconut water. How does it taste though..? In our view it's a lot more pleasant than coconut water...which is an acquired taste. This tastes just faintly of maple syrup. In fact it's the very same sap they make maple syrup with, but it would take 40 litres of this to make a litre of maple syrup as maple water is low in sugar (less than 1.5g per 100ml). Collected by simply tapping maple trees, a process that doesn’t harm the trees, and allowing the water the trees have amassed through their roots to run into buckets. The product comes in three formats: a just-under-a-litre 946ml sized Tetra pack as above, along with the smaller 250ml Tetra pack for £1.99 or the 355ml bottle for £2.59 pictured below. 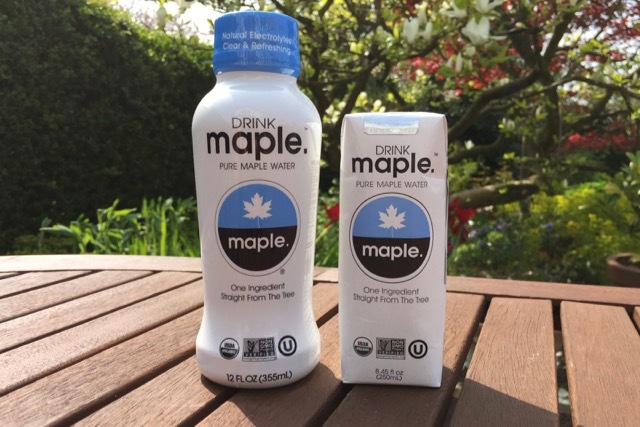 You can buy DRINKmaple online at ww.drinkmaple.eu or on Amazon, or you can find it stocked by Ocado, Wholefoods, Planet Organic, Selfridges, Revital and Harvey Nichols amongst other stores. 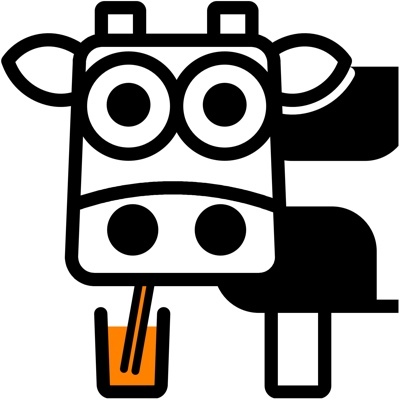 You can watch the DRINKmaple video if you want to know a little more about the product. 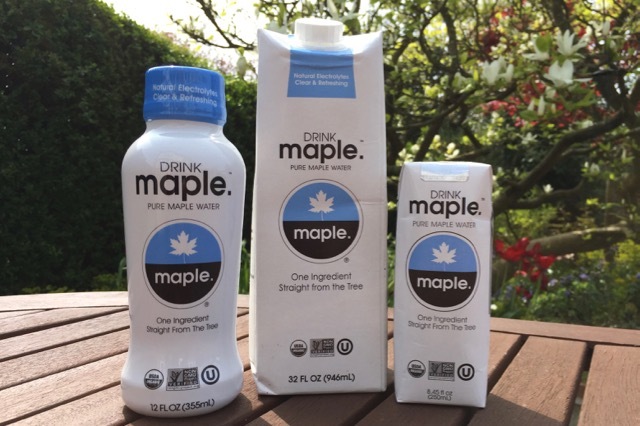 We're not big fans of coconut water and much prefer the taste of maple water. It's pricey, but then it's not made from concentrate - it really is natural tree sap. It does have some nutrients, including manganese and does contain electrolytes. Give it a try for some natural low-sugar refreshment. This product was supplied to us by the marketing team for DRINKmaple.